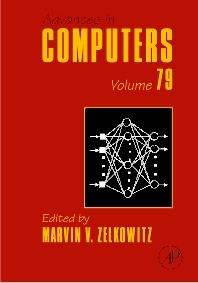 This is volume 79 of Advances in Computers. This series, which began publication in 1960, is the oldest continuously published anthology that chronicles the ever- changing information technology field. In these volumes we publish from 5 to 7 chapters, three times per year, that cover the latest changes to the design, development, use and implications of computer technology on society today. Covers the full breadth of innovations in hardware, software, theory, design, and applications. Many of the in-depth reviews have become standard references that continue to be of significant, lasting value in this rapidly expanding field.